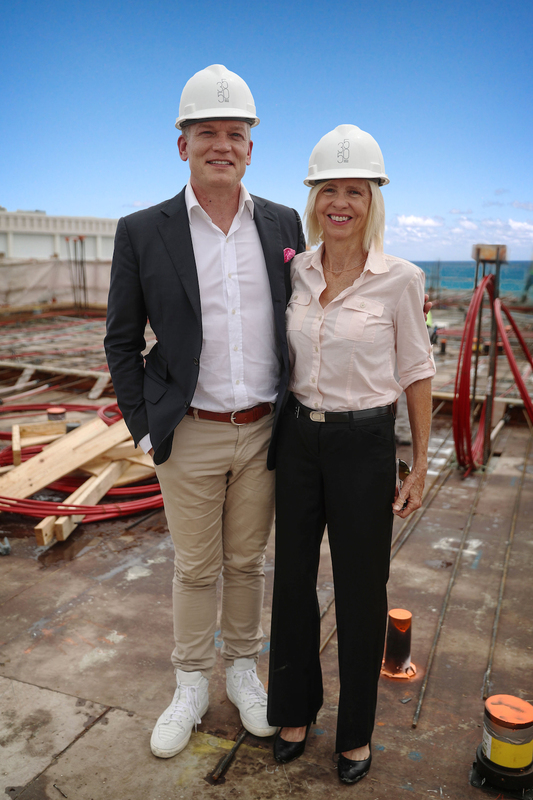 An under-construction oceanfront condominium in Palm Beach has topped out, meaning that its penthouse floor is now in place in the 3500 block of South Ocean Boulevard. The 30-unit, seven-floor building — named 3550 South Ocean, after its address — was developed by DDG and is being built by KAST Construction. The contemporary-style building is expected to be completed by next spring. So far, the building is more than 30 percent sold, according to the developer. Prices start at $2.3 million. The building is the first new oceanfront condo to rise on the barrier island comprising South Palm Beach and Palm Beach in about a decade. It replaced the old Palm Beach Oceanfront Inn — nicknamed “The Hawaiian” — that was demolished in 2015. The 1-acre lot is in South Palm Beach, about a third of a mile from Palm Beach town limits. With a sawtooth silhouette to take advantage of sea views, the building has two- and three-bedroom condos, including five penthouses. Units range from 2,700 square feet to more than 3,400 square feet. 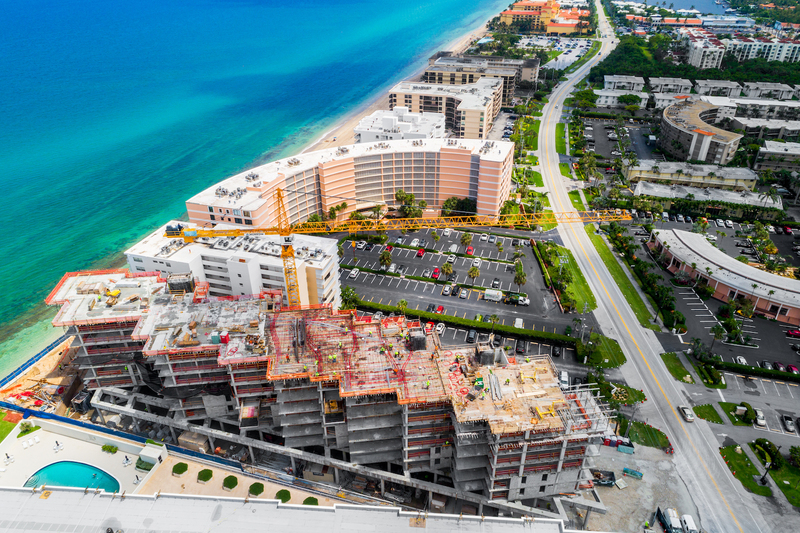 The building’s new construction and beachfront location near Palm Beach are among its key selling points, Douglas Elliman Real Estate Chairman Howard M. Lorber said in a statement released today by the development team. Lorber’s agency is handling sales at the building. 3550 South Ocean is the first Florida project for DDG, which has built residential buildings in New York and California. “Watching the building go vertical and achieve its full height has been incredibly exciting,” said Joe McMillan, CEO and Chairman of DDG, which has offices in Palm Beach, New York City and San Francisco. The design team included GarciaStromberg | GS4studios of Palm Beach, Kobi Karp Architecture of Miami and Champalimaud of New York. The amenity list includes direct-elevator access to units, private entry foyers, a beachfront saltwater swimming pool and an on-site fitness studio. The penthouses will have private rooftops with plunge pools and outdoor summer kitchens. The developer also has partnered with Star Jets International to offer residents custom-tailored concierge jet services. In the spring, DDG donated about 4,000 yards of sand from the site that that was distributed along Palm Beach’s Midtown Beach between Hammon Avenue and Via Marina. The “beach renourishment” project was completed before the start of sea-turtle nesting season March 1.